Below are a series of tips that will make the use of a mobility scooter safer and easier for users. Mobility scooter batteries that are used a lot have longer life spans than those that sit idle for most of the day or used only rarely. Batteries in power mobility scooters that aren't being used for a period of time should be charged up about once a month to keep them active. Keep air inflated tires fully inflated to ease rolling of the mobility scooter, lengthen the time needed between battery charges, maximize mileage and maximize tire and tube life spans. Added care must be given wheel a mobility scooter is used on slippery surfaces. The automatic mobility scooter brakes may not slow or stop the scooter if they don't have proper traction. 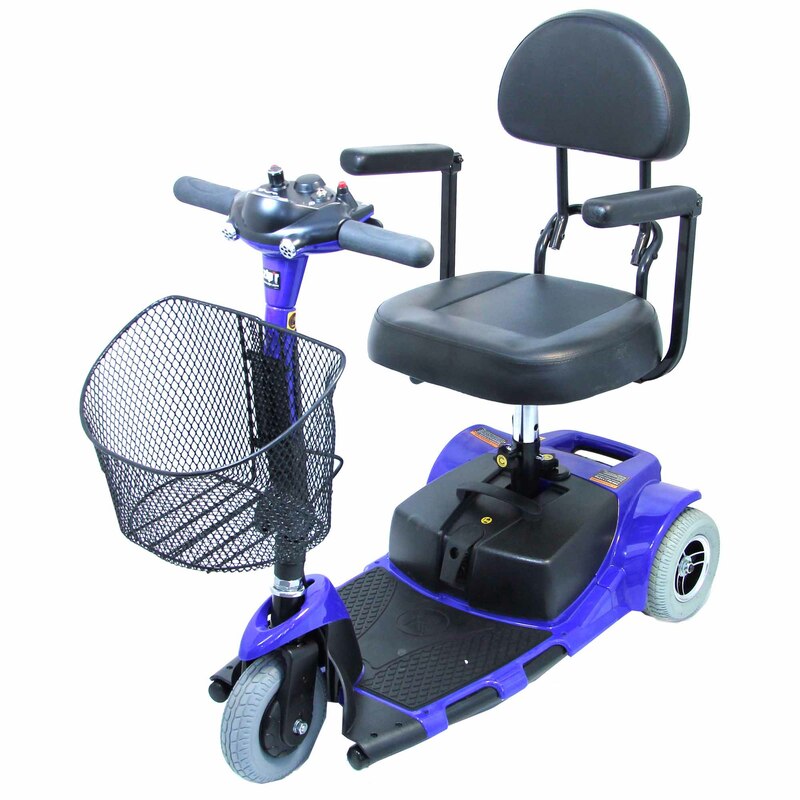 Mobility scooter have a high center of gravity and can tip over sideways easily. Users should only drive up and down an incline and not across the incline. Scooter baskets are not designed to carry heavy weights. Place heavy objects on the floor of the scooter between the user's feet. Use caution when traveling on sand or in snow. The scooter can get stuck fairly easily leaving the user stranded in unsafe conditions. If possible, adjust the tiller so the user can rest their elbows on the armrests when driving to reduce fatigue and shoulder strain. Three wheeled scooter work better in tight areas due to their shorter turning radius.